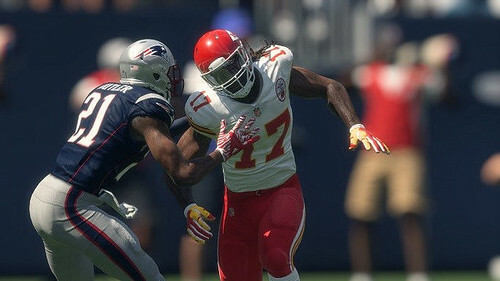 To ensure Madden is the best game possible, title updates are deployed by the Madden Development Team to add features to the game after launch and to tune gameplay based on community feedback. Here is a detailed breakdown of what’s included in the latest title update now live in Madden NFL 18. Developer Note: The Weak Box exploit manager was introduced this year to encourage players to better match the offensive personnel on the field when trying to defend the run, especially heavy run sets with eight or more run blockers inside the tackle box. Due to a lot of valuable feedback from our players, we discovered the AI could get hit by this inadvertently which was never the intent of the exploit manager. The new logic will prevent it from occurring when playing AI opponents moving forward. Addressed an issue where not all the Chemistry boosts were showing up on the Lineup Screen. Dev Note: After speaking with the competitors in Madden Ultimate League, the regular season and early playoff rounds will be played on the previous title update (TU9), in order to provide sufficient and equal practice opportunities. The competition will use the current title update (TU10) for the Madden Bowl.